Li Qiang, secretary of the CPC Shanghai Committee, met Pany Yathotu, president of the Lao National Assembly, and her delegation on Monday. Li welcomed his guests and briefed them on Shanghai’s social and economic development in recent years. Li said China and Laos have been good neighbors for a very long time. China’s President Xi Jinping made a state visit to Laos soon after the 19th CPC National Congress concluded in October, and he pointed out the development direction of the relationship between the two countries, Li added. Shanghai has cooperation with many cities in Laos, Li said. Shanghai is willing to carry out the consensus reached by the top leaders of the two countries and deepen the existing cooperation in trade, technology, cultural industries. 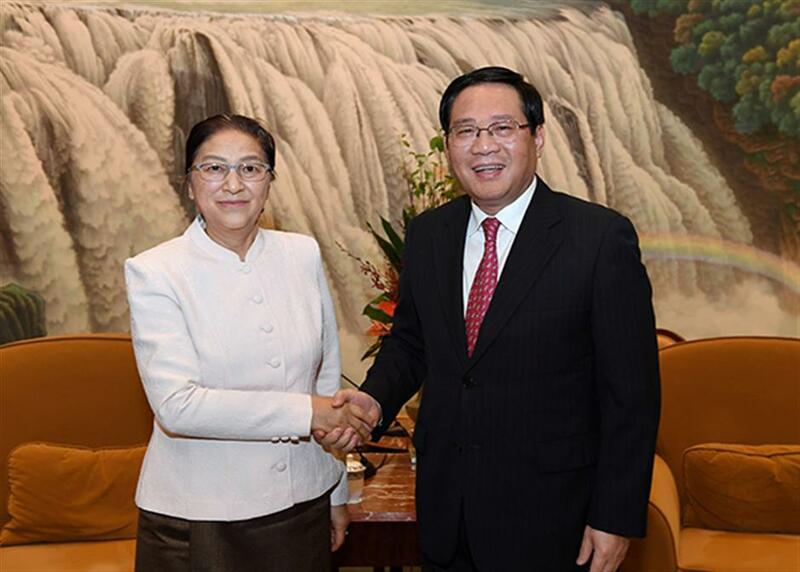 Yathotu said Laos can learn a lot from Shanghai’s achievements under the leadership of the CPC Shanghai Committee. She hoped Laos and Shanghai could deepen the strategic partnership, the cooperation between Shanghai and Vientiane and other cities in Laos, and also the cooperation in state legislatures. Xu Lvping, vice minister of the International Department of the CPC Central Committee, and Zhuge Yujie, secretary-general of the CPC Shanghai Committee, also attended the meeting.